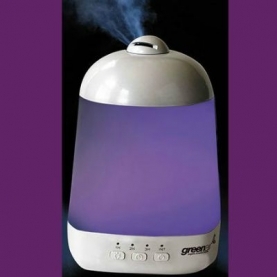 The Spa Vapor 2.0 UltraSonic Diffuser features advanced options for diffusing your favorite essential oils. The timer option allows for 1, 2 or 3 hour settings, as well as intermittent & continuous modes, easily controlled by the push of a button. The intermittent setting option guarantees more than 8 hours of diffusion, 2 hours longer than any of the other Spa Vapor diffusers.